Launched 25 years ago, the Hubble Space Telescope is a veritable manufacturing plant of discoveries, solving mysteries of the universe and raising tantalizing new possibilities about where we’ve come from and where we are going. 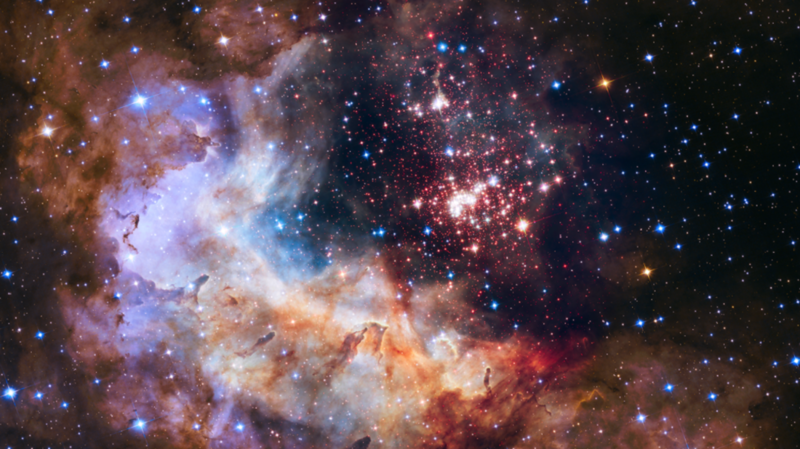 Here are 15 things we’ve learned from the Hubble Space Telescope. 1. WE SHOULD PUT 14 BILLION CANDLES ON THE UNIVERSE'S BIRTHDAY CAKE. Galaxies are moving apart, which means at some point they must have been close together. One method to figure out the age of the universe involved using Hubble to determine speed, distance, and acceleration. Scientists could then work out the time necessary for current galactic distances to be reached. 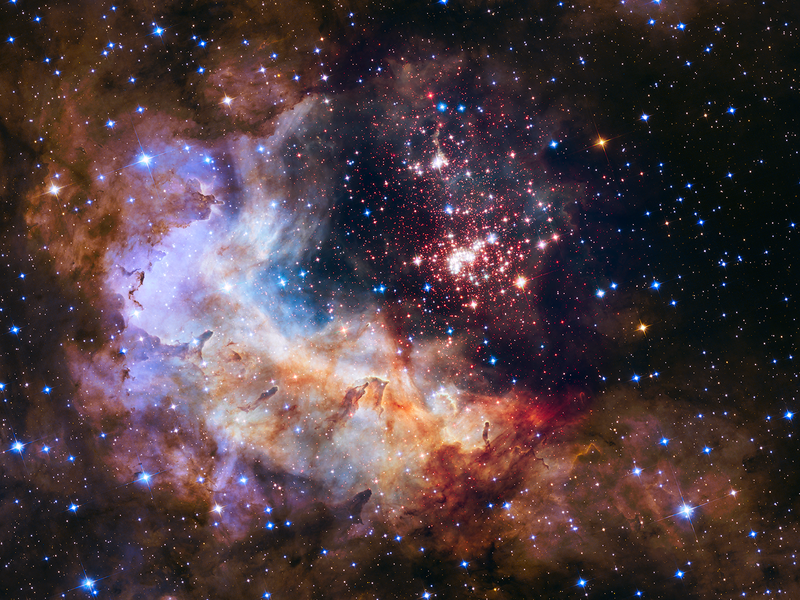 The universe's birthday cake requires 14 billion candles. 2. QUASARS CALL GALACTIC CORES HOME. Quasars are extraordinarily weird. They're the size of our solar system but as bright as entire galaxies that are populated with billions and billions of stars. Scientists used Hubble to track down the home of these celestial high beams: galactic cores. 3. WE CAN SEE "BABY PHOTOS" OF THE UNIVERSE. There's no "now" in space. Space is big and light takes a very long time to reach our little corner of the universe. When Hubble peered deeply into space to photograph distant galaxies, scientists were astonished by the number it captured: 3000. But none of the 3000 galaxies pictured in the "Hubble Deep Field" were recent. Hubble literally photographed galaxies from billions of years in the past. (That's how long it took the light to reach us.) In other words, the Hubble Deep Field is comprised of galactic baby pictures from the dawn of time. 4. WE WERE WRONG ABOUT THE SLOWING EXPANSION OF THE UNIVERSE. It just makes sense that after the literal eternity which has elapsed since the Big Bang, the expansion of the universe would slow. The Hubble Space Telescope has news for us, though: The expansion of the universe is actually increasing in speed. Why? Dark energy. Of course, we're not even sure what dark energy is, but the working theory is that it's responsible for the acceleration. 5. 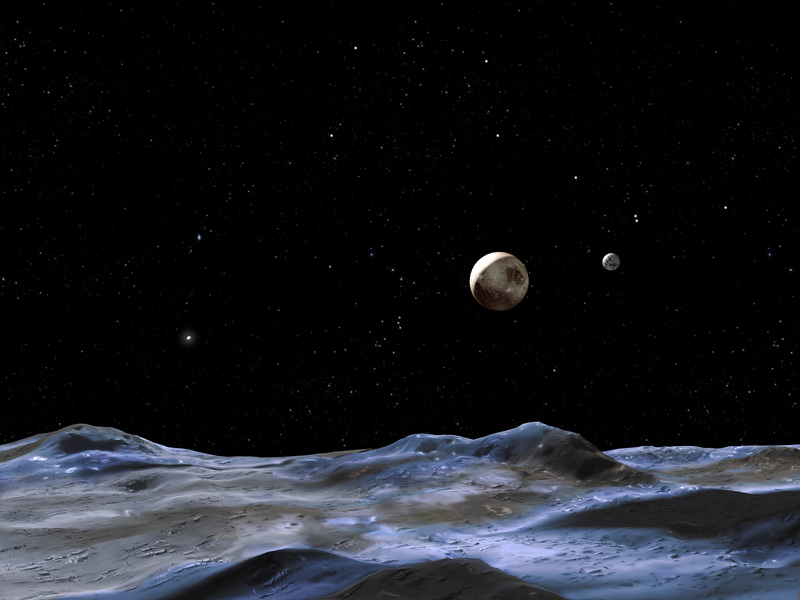 PLUTO HAS MORE MOONS THAN WE ANTICIPATED. In 2005, scientists discovered two new moons of Pluto using the Hubble Space Telescope. After the New Horizons spacecraft to Pluto launched in January 2006, the possibility of undiscovered moons became a big worry. Unlike planets, small moons can lack the gravity to hold on to their collision debris. A rock hitting a tiny moon might send many more rocks back into space. Because debris the size of a grain of rice could have destroyed New Horizons, the team went to work discovering as many moons as it could. In the end, Hubble discovered four moons around Pluto, bringing its total number to five. New Horizons scientists modeled the newly discovered moons, and were able to avoid disaster. 6. WE'RE BEING TREATED TO A CELESTIAL GROUNDHOG DAY. To those of us without advanced degrees in the subject, physics can seem really weird. There might be nothing weirder, then, than the Groundhog Day supernova. Nine billion years ago, a star blew up. Gravity from intermediary galaxies have bent and influenced light rays from this doomed star in such a way that the light takes different paths to arrive here, some longer than others. This means we've seen the exact same moment in time on more than one occasion. So far, scientists have observed the same supernova four times and counting. 7. SUPERMASSIVE BLACK HOLES ARE REAL. Einstein predicted black holes with his general theory of relativity, though actually finding them has been something of a problem for scientists. In 1971, Cygnus X-1 was all but confirmed as a black hole, ending years of debate. But around the same time, a new hypothesis was emerging about supermassive black holes that resided at the centers of galaxies. Enter the Hubble Space Telescope, which found in galaxy M87 "conclusive evidence" of the existence of supermassive black holes. It is one of the most astonishing discoveries in the telescope's 25-year history. 8. IT'S ILLUMINATED THE DETAILS OF EXOPLANETS. Exoplanets are planets that orbit distant stars. Many have been discovered, and Hubble has been instrumental in fleshing out what we know about these mysterious worlds. Hubble instruments have performed atmospheric studies of such planets similar to GJ 1132b, a Venus-like world 230 trillion miles away that was just discovered this year. (Atmospheric studies of GJ 1132b itself are still to come.) 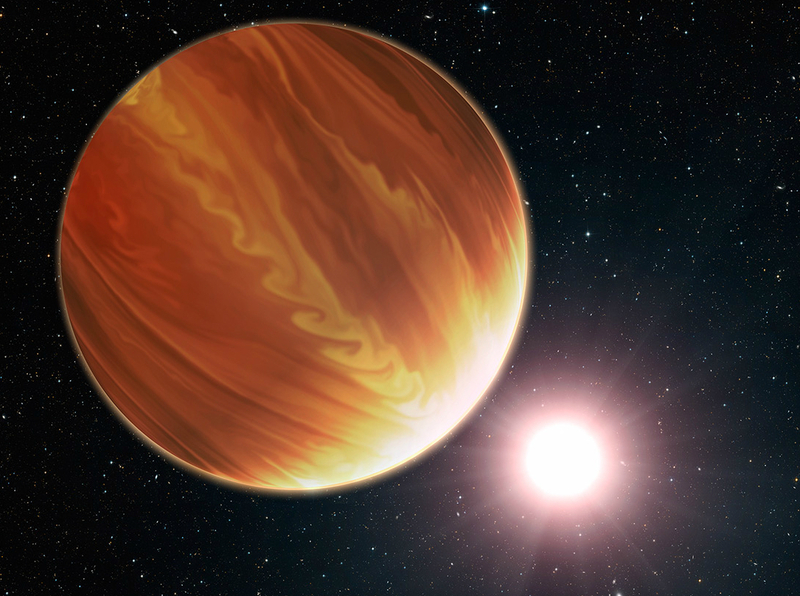 Hubble has also helped scientists figure out the actual color of an exoplanet—a first. 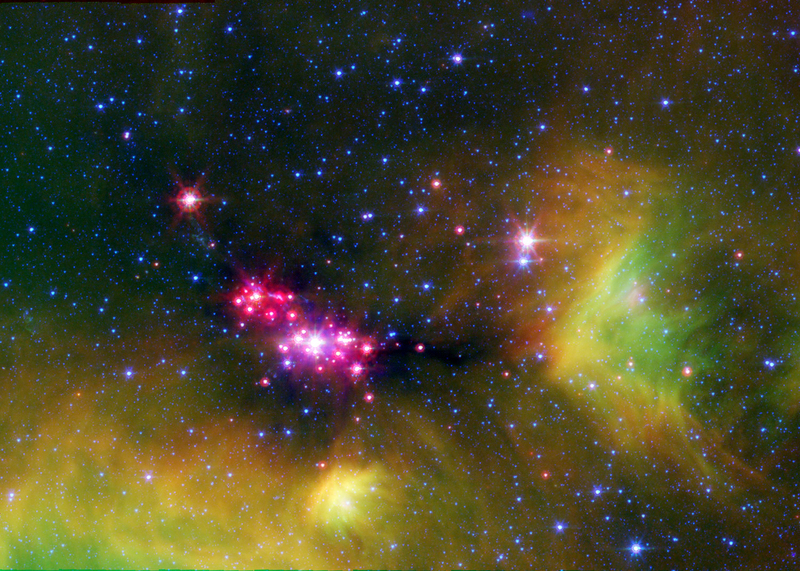 The creatively named HD 189733b is now known to be cobalt blue. (Its color comes not from oceans but from its silicate atmosphere.) Hubble didn't stop there, though. It has also helped scientists create the first exoplanet weather map. The forecast for WASP-43b: hot—3000°F hot—with occasional temperatures reaching a “cool” 1000°F. 9. GANYMEDE HAS AN OCEAN. Ganymede made quite a splash earlier this year when a subsurface ocean was discovered. But how was that determined, anyway? Scientists used the Hubble Space Telescope to watch auroras on Ganymede. When the auroras didn't behave as expected, scientists knew they had something special. In a statement reported by Space.com, geophysicist Joachim Saur said, "I was always brainstorming how we could use a telescope in other ways. … Is there a way you could use a telescope to look inside a planetary body? Then I thought, the aurorae! Because aurorae are controlled by the magnetic field, if you observe the aurorae in an appropriate way, you learn something about the magnetic field. If you know the magnetic field, then you know something about the moon's interior." In this case, that interior was an ocean. 10. 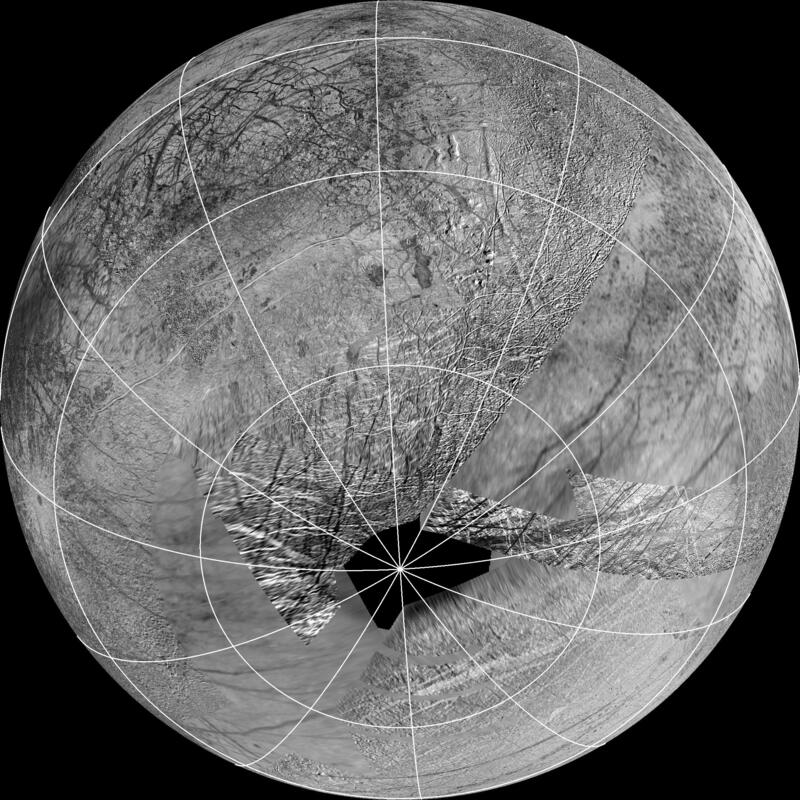 EUROPA HAS PLUMES, AND THAT MIGHT HELP US FIND LIFE. When a world has a subsurface ocean, the great challenge is trying to figure out how to drill down into it and take samples. Plumes make the job much easier. In essence, plumes are giant geysers firing the ocean into space. So instead of spacecraft somehow going into the ocean, plumes help the ocean come to the spacecraft. This is especially important for a world like Europa, which is thought by many to harbor life. In 2013, Hubble scientists discovered plumes on Europa, one of Jupiter's moons. Now that NASA has built a flagship mission around Europa, scientists might soon have a chance at sampling it for life. 11. THERE ARE NEW WORLDS THAT WE CAN ACTUALLY VISIT. The first phase of New Horizons has been successful beyond the dreams of even Alan Stern, the mission's leader. Moreover, the spacecraft still has a lot of power, and its systems are operating at 100 percent. It is presently flying through the mysterious Kuiper Belt—a ring composed primarily of frozen volatiles beyond Neptune—where there is much to learn. The New Horizons team has used Hubble to find new targets for a spacecraft study. If NASA gives the mission extension a green light, the best might be yet to come. 12. THERE WAS A 10TH PLANET. Hubble is good for more than studying exoplanets, moons, and baby galaxies. Scientists have used the space telescope to study strange new planets in our own solar system. Before the International Astronomical Union meddled with the definition of "planet," a tenth planet in the solar system—Eris—was discovered. 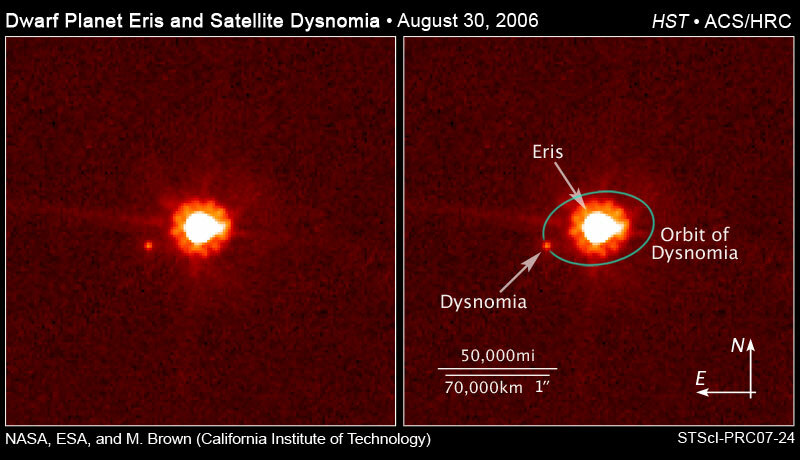 The secrets of Eris, a Kuiper Belt Object that is now categorized as the second-largest dwarf planet (behind Pluto), were unlocked by Hubble, including its size and mass. 13. 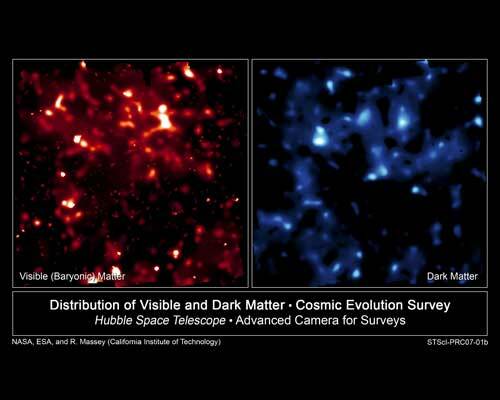 THERE IS SUCH A THING AS CLUMPY DARK MATTER. 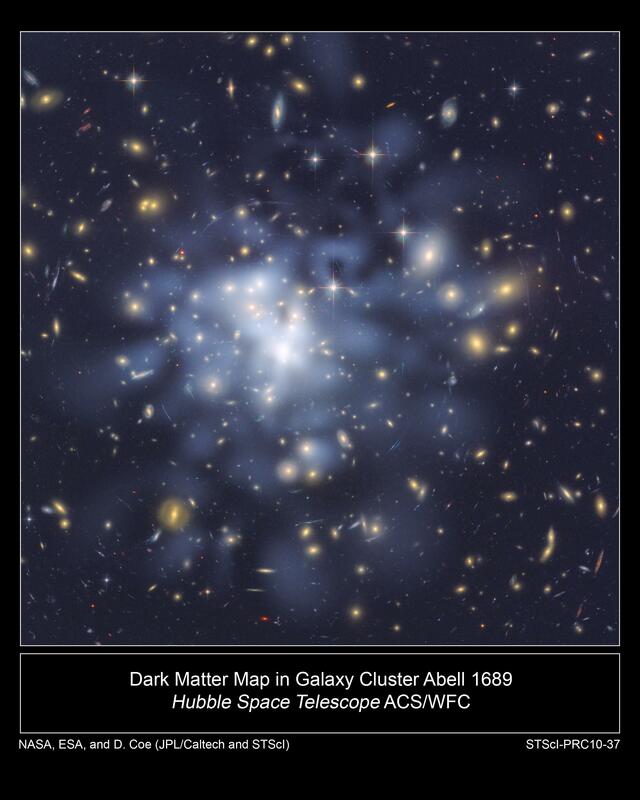 Thanks to Hubble, scientists have been able to map dark matter in the universe, and have worked out that normal matter (things made of atoms—in this case, galaxies) gathers near dense areas of dark matter. In addition, Hubble's findings suggest that "dark matter has grown increasingly 'clumpy' as it collapses under gravity." NASA compares Hubble's success in mapping dark matter to "mapping a city from nighttime aerial snapshots showing only streetlights. … These new map images are equivalent to seeing a city, its suburbs and country roads in daylight for the first time." 14. IT'S A GALAXY-EAT-GALAXY UNIVERSE. When scientists used Hubble to study the Andromeda galaxy, they expected to find very old stars. They were surprised, then, to learn that the stars ranged in age from six to 13 billion years old. They suspect that the young stars found their way into Andromeda through cosmic collisions. In other words, Andromeda ate smaller galaxies and kept the stars for itself. 15. PROTOPLANETARY DISKS ARE OBSERVABLE. For a long time, scientists believed that "protoplanetary disks"—disks of dust around stars that might form solar systems—would be impossible to see. It was thought that the disks would be obscured by clouds of gas. Hubble proved that suspicion wrong, and has discovered many such disks. As a result, scientists have new insights into how planets and their associated solar systems are created.